turned out he enjoyed the consequences of this sexual assault ...who also became a fan of baseball. ...much as people decrying an interpretation of a particular incident decry that interpretation in pursuit of imposing an uniform response to classes of sexual interactions. and why should weakness merit non-survival? it may often happen that the weak go to the wall (despite you demolishing it, Tsar) but from whence do we draw the idea that they should? outrage and self-pity are never nothing. and beside those things, many, many, many fine people are produced.... a good number of them are driven to leave the area, and other countries, including ours, have greatly benefitted by having them here, miggs. the USA does and had done quite well with offering a home to those driven from the four corners (of North Carolina) and the rest of the planet. "Claims to the effect of “without those policies the state of Israel cannot survive” are, IMO, synonym for saying that the state of Israel should not survive." are all your comments meant to be comical or is this sorta special? this was every bit as light as depleted uranium latkes. I've spent every morning of the last several months trying to think of a reason not to commit suicide that day and this thing depressed me. 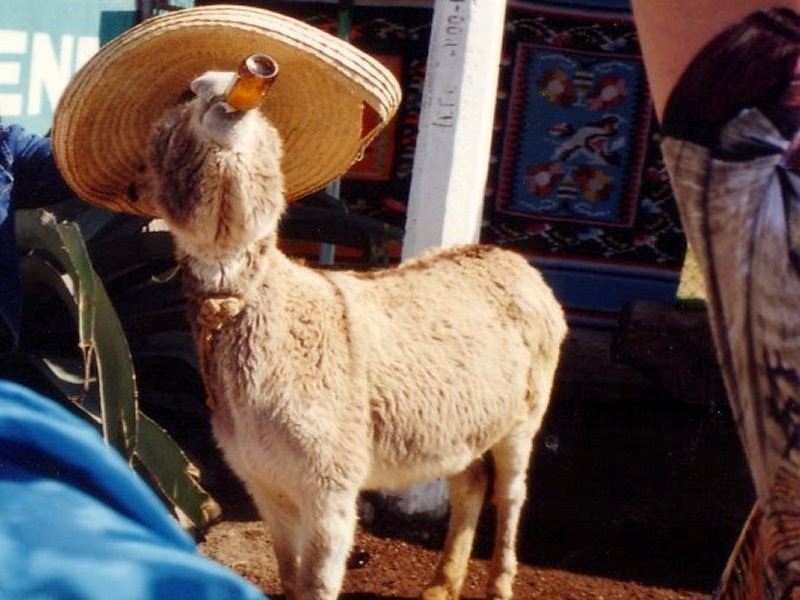 anybody else have a favorite Cinco de Mayo photo? and how the heck did you decide to toss kerry into that affinity salad, miggs? Qatar houses hamas leaders not based in Gaza only because they had to get out of Syria. they ain't really rooted there and are more likely to move on than to stay. next time try using evidence rather than some mix of emotion and fantastic (and i don't mean fantastic in the "really good" sense) guesswork. you assume that in the future there will be an Iraq? Iraq was built on oppression of the majority and stayed that way till the US further screwed it up. Maliki is so bad that he might as well be Karzai. as Robert Cray might say....The Forecast Calls for Pain. The Iraqi ambassador to the United States is warning that the Islamic extremists overrunning his country will commit "ethnic cleansing" unless the Obama administration helps stop them. apples rejected, and an ante-coital evening of absinthe and Anasazi art appreciation. gotta admit that was whipped up right smartly. there are two good reasons for seeing her in The Dreamers and there's also the pleasure having hearing her speak in her native French. I've seen most all of it. quite a bit of whipped cream atop it, but haven't yet seen the cake. Scott the not-lout sure should be a happy little Clips fan tonight.